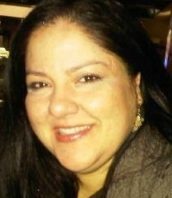 Aileen Gutierrez received her Bachelors in Social Work from Florida International University, her law degree from Touro Law School, and was admitted to practice law in the State of New York in 2008. She was an associate attorney at Fitzgerald & Fitzgerald, PC, a plaintiff’s medical malpractice law firm that handles birth injury cases, as well as some nursing home abuse matters. She then worked as an associate attorney at Miller & Milone, PC, an elder law firm. In 2013, Aileen worked as a solo practitioner and was appointed in several Article 81 matters as Temporary Guardian, Court Evaluator and Attorney for the Alleged Incapacitated Person.